We meet some Monday afternoons at the Leader's home. The present group has a pretty good standard of spoken German, without feeling constrained to be accurate. We are lucky in having two native speakers in our group, one from the north and one from the south of German-speaking lands. 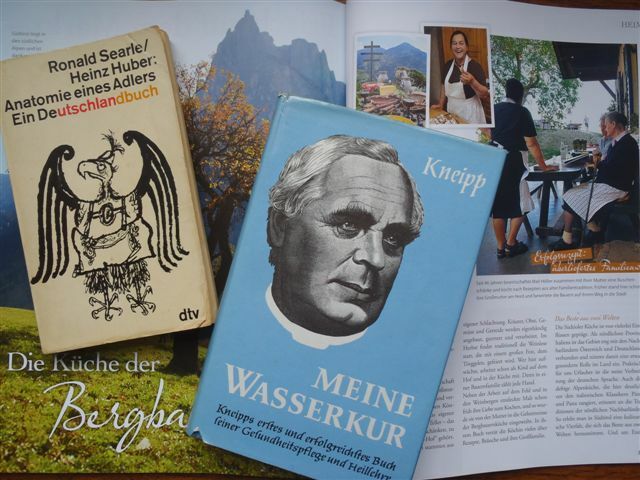 Using material found on the internet we are able to discuss such topics as customs and festivals, history, German speaking minorities, food and drink, places to visit and peculiarities of the language itself, indeed any topics members like to contribute. Our recent topics have included famous German scientists Alexander von Humboldt (1769-1859) and Carl Friedrich Gauss (1777-1855), the reappearance of the wolf in Europe and the disturbing nursery rhymes of Struwwelpeter. Whilst our aim is to speak better German, we also enjoy comparing our personal experiences of German-speaking countries and learning more about our impressive European neighbour. We don’t mind lapsing into English if necessary.